Is it weird to be so flippantly excited over a restaurant opening? 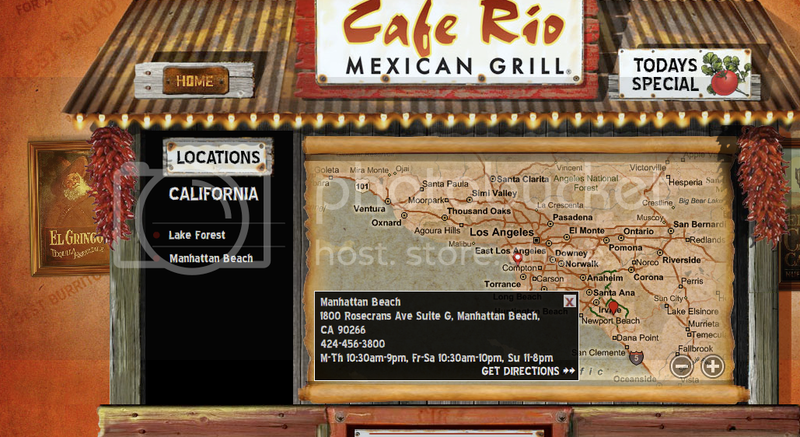 But I'm not talkin' just any plain-ol' restaurant, I'm talkin' CAFE RIO BABY!!!!! That phone call was THE most important phone call of my life. Okay, so maybe I'm exaggerating a little bit....Still, I was so excited when someone answered my call (which I wasn't expecting because they're not even open until 10:30, I was just hoping for a voicemail message) and I asked in an all-too-eager voice, "Is this location open yet?" "Yes ma'am! We just opened yesterday!" "Ahhhhhh! I'm so excited, I'll see you soon!" "We'll be waiting for you!" Is 26.8 miles too far to drive for a smothered pork burrito? lol you are cracking me up!! wow, glad i could make your life. 26.8 miles is a lot shorter than driving all the way to lake forest. Simple pleasures are the best ones...and I reckon it's totally worth driving 26.8 miles for. I would love to join you (even though I'm not entirely sure what a smothered pork buritto is...)but I think an across 'The Pond' trip would be going a wee bitty too far...!! I miss Cafe Rio! They don't have any here in Omaha. Maybe I'll open one and make millions! Paige, what else you would recommend besides burrito? i would love to go around there since i am living West LA. I've said it before and I'll say it again. You are a silly, silly girl. Try the chicken tostada some day. Yummmmmm! MMMMMM!!!! I CANNOT WAIT FOR MY CAFE RIO PART 2!!!! So I am sooo glad that you posted this! Because of your post and looked and saw that they have some in Vegas! I HAD NO IDEA and no one here has heard of it... I'm SO excited! So thanks again! Hmm. Never had one, is it really the best? MMM MMM MMMMMMMMM! Can't wait til Sat!! i was SPEECHLESS when you told me this news! we're going on saturday too! i WILL be there at least once a week! SO DANG excited!